Children of government employees who are not getting paid or furloughed may be eligible to receive free or reduced-price breakfast and lunches at school. 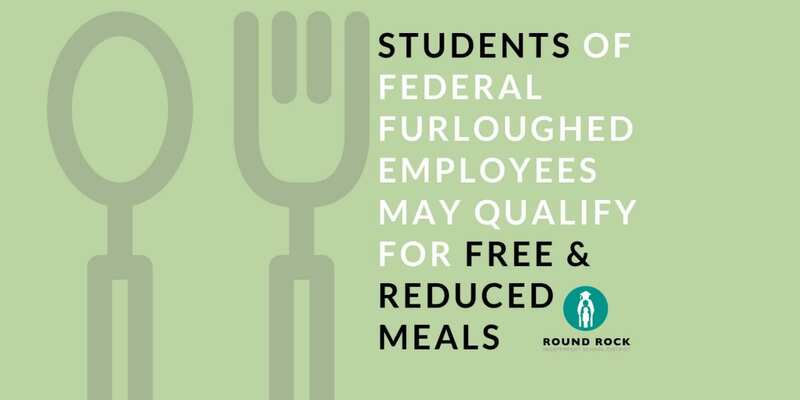 Round Rock ISD Food Services encourages households that experience a change in economic circumstances to apply for free and reduced meal benefits. Furloughed employees or employees required to work without pay qualify as a change in economic circumstance. Students who are eligible to receive free and reduced meal benefits at school may do so until the end of the school year. Only one application per household is required and applications can be submitted at any time during the school year. Parents are required to reapply for free and reduced meal benefits each school year. Apply online or ask your school office staff for a paper application.